Work for Microsoft Azure Active Directory? Learning about Microsoft Azure Active Directory? "not just another microsoft application it's so much more"
the active directory feature in the cloud, being able to add users to the cloud so they get a microsoft account and a active directory account, everything is connected together. using azure there are loads of features out there but they are costly features, alot of these features would be massive game changers for our company if they were cheaper or free but I guess that business. "Azure Active Directory - For your Identity and Access Management on the cloud." The best thing about Azure Active Directory is the Self service password reset/change/unlock, 2 Factor Authentication, Azure AD for BYOD, These features are most used in our IT environment. The traditional AD used LDAP and has other security and group policies however Azure AD uses REST which is intended for running apps on Software as a Service (SaaS cloud) and to provide Identity Management services. It is big step for large organizations to jump on to the Azure AD train however companies really looking forward for cloud options can start with the hybrid model. Azure AD offers single sign on (SSO) for the users which is a very useful feature while accessing external resources like MS Office and other SAAS applications.We have the Premium P2 version which give a lot of customization and scalability options. We are using the hybrid option and have connected the On-premise AD DS environment with Cloud AAD Connect hence the output gives the best of both of them. "Azure Active Directory - Efficiently manage Identity And Access Management On The Cloud"
The ability to perform Self service password reset/change/unlock is a very useful feature. Multi factor Authentication is the need of today which is available in Azure AD. It offers enough flexibility by Azure AD for BYODs. The traditional AD used LDAP and has other security and group policies however Azure AD uses REST which is intended for ruuning apps on Software as a Service (SaaS cloud) and to provide Identity Management services. The product has a lot of advantages however moving to Cloud AD is a huge step. People should perform enough testing in their environment. We are using Premium P2 version which gives a lot of customization and scalability options . We are using the hybrid option and have connected the On-premise AD DS environment with Cloud AAD Connect hence the output gives the best of both of them. "Easy Implementation. Best Bang For Your Buck If You Are A Pure Cloud Player." Documentation is all over the place and incomplete. Microsoft Support is not structured well to arrive at fast resolutions. There is a huge gap between what is being promoted in Ignite and what is currently available. Technology Roadmap visibility can be a lot better. If you own the license, implement it right away. It will give you several opportunities for software consolidation and eliminate on-premise identity infrastructure foot print. It offers significant user experience benefits too. Azure AD Technology is rock solid and has several competent features like integration with MDM solutions, MFA solutions, passwordless technologies and defender ATP. It is the best bang for the buck no questions about it. However, it might not meet all your needs especially if you have strong compliance requirements. The best user experience and ease of implementation comes when you use all cloud and all Microsoft products for your Identity and Authentication architecture. Having On-prem AD is still OK.
"The first tool you starting working in Azure"
Rich functionality assumes complexity of implementation, for example in case of implementing MFA, you will need to have your users authenticated via RADIUS server, which is not widely used solution for on-premise AD, and you will probably need to redesign and rebuild your directory. Purplish blue AD offers single sign on (SSO) for the clients which is an exceptionally valuable element while getting to outside assets like MS Office and different SAAS applications.We have the Premium P2 adaptation which give a ton of customization and adaptability choices. It was anything but difficult to begin with Microsoft Azure AD. I just signed into my Microsoft account on the Azure landing page, set up the Azure record, and made an application show. When I endeavored to confirm on the application - which I had set up on the Azure AD side - I achieved a blunder screen with no sign of what the issue was. Maintain a strategic distance from alliance of your clients without synchronizing them. They will lose access to Azure assets too, in the event that you datacenter will come up short. Sky blue AD is tremendous and gives nitty gritty highlights. Associations searching for cloud alternatives in AD should attempt Azure AD. Azure AD offers single sign on (SSO) for the users which is a very useful feature while accessing external resources like MS Office and other SAAS applications.We have the Premium P2 version which give a lot of customization and scalability options. The integration of the user data with On premise ADDC is very efficient. Some of the features like Multi-Factor Authentication (Cloud and On-premises (MFA Server)) and Self-service password modification and unlock with on-premises write back are only available to Azure AD premium users. Azure AD is vast and provides detailed features. Organizations looking for cloud options in AD should try Azure AD. Our internal IT and development teams have been given access through Azure AD in order to produce and developed web apps and host them on Azure. With Single Sign ON and MFA , it gives a lot of ease to the users while working from remote locations and with different hardware. "Broken out of the Box"
It was easy to get started with Microsoft Azure AD. I just logged into my Microsoft account on the Azure home page, set up the Azure account, and created an application manifest. When I tried to authenticate on the application - which I had set up on the Azure AD side - I reached an error screen with no indication of what the problem was. Research and set up that I did was a complete waste of time. I was not able to resolve issues that I encountered. One in particular was a complete dead end - absolutely no way to troubleshoot. If you're not satisfied with MS products, I suggest looking for alternative ways of achieving your goals. I wanted to access Office 365 resources from within my application. Our company has a vast amount of data on the platform, which we've found lacking in many areas. AAD promised to empower us to get more out of O365. So far, that's been a broken promise. "Started to learning of Azure from it"
One advantage is that content can be counted on multiple servers, streamlining content delivery, since the delivery server will be chosen according to the user's location. This makes the site fast for me, here in Prague, as well as for someone in New Zealand. Nothing to declare, it is a complete tool. Otherwise he will have to call the company where the website is hosted and buy a larger plan. The main advantage is the possibility of quickly scaling the project according to demand. Suppose the client has a site with 1,000 hits per day and one day the site starts to have a demand of 10,000 hits per hour. If the client is using Microsoft Azure it will be able to scale the server automatically to be able to handle this amount of access. I like Azure active directory user management Multi factor authentication. The security options provided have really helped secure our data. I also like the way that single sign on is managed in Azure. I can easily add a new system to single sign on and also easily give users specific access to systems. Dislike the interface. It is very easy on the eyes but there are a lot of different sections. At times i find it hard to find what im looking for. 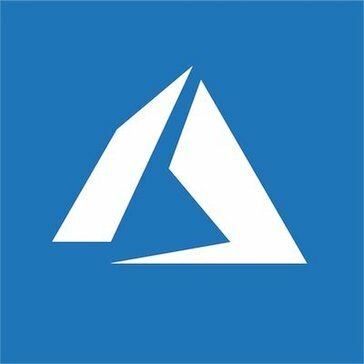 I would recommend Azure for user management over on premise AD. I do think the interface needs to be improved but Microsoft is heading in the right direction. We are continuously trying to make our environment more secure. On a day to day basis users may click links that are malicious. Two factor authentication helps the user by ensuring no one else is logging into their account other than themselves. Single sign on also solves the business problem of users remembering their passwords. We used to receive a lot of emails from users about forgot passwords but now that they have to remember just one password we do not receive nearly as many emails to reset passwords. Considering we are fairly new to using Microsoft Azure active directory, I can see moving forward that we will have more benefits to talk about. The product is most definitely moving in the right direction. "Main authentication tool for Azure"
Azure AD provides broad set of great working user management tools, such as Identity Service, On-Premise Active directory integration, Single Sign-On, Self Service credential management for end users and even domain services, which can be used as domain controller for your Azure Virtual Machines. Detailed documentation and responsible support makes your experience with Azure AD very pleasant. "Azure Active Directory - Cloud Identity done right." I love the fact that I can extend the Azure AD in a B2B fashion to other SaaS products. I give my users just 1 credential and I can re-purpose it to logon to almost 3000+ other SaaS solutions out there. This is truly Single SignOn at it's best. I dislike the amount of marketing Microsoft is putting into this in my country (Netherlands). They are missing out on a huge market potential, while it's pretty obvious they have the best proposition out there. This is truly a great product, that with every add-on you purchase (for instance EMS) adds more functionality and protection for your users. One of the biggest advantages have to use Azure AD is the ability to deliver a SSO platform for the entire enterprise. In our case we implement Azure AD in order to replicate our server AD on-premise in the cloud and offer authenticated access service to our users outside the office and remote branches. Once implemented in Azure AD we get all of our users agree to the platform and could use both Office 365 business PCs as well as on their mobile devices. On the other hand, with Azure AD we keep our users connected all the time from online applications Office 365 as well as his own, always using a single authentication method. Regarding the disadvantages almost you can not name many, unless a VM in Azure has an additional cost this is quickly solved by having replicated AD infrastructure everywhere. Perhaps one of the things that can be a disadvantage is the speed with which you access the VM in Azure, but resolves having a good internet connection. Of course I recommend the use of Azure AD for those users who need a centralized platform in Windows environments and especially for those using Office 365. It is a robust, secure and easy platform to deploy and maintain. As I mentioned before, we can solve the problems in our company was maintaining a consistent and secure SSO structure. With our server replicated in Azure AD we get all the benefits of a heterogeneous environment and safe for the whole organization. "Will be outstanding identity solution in future"
"Identity service for cloud services"
Ability to syncrhonize and federate your Active Directory with Azure AD. Single Sign-On feature. Users do not need to maintatin additional set of credentials. Very good support, all problems are being resolved quickly. Good documentation. Ability to add custom domains, not only onmicrosoft.com. "Good solution for small business"
I am not a Windows admin by any means. I am however a developer and using Azure AD's single sign on to secure a lot of our internal applications with our AD credentials has been awesome! We don't worry anymore about having to keep track of individual accounts for our tools anymore with Azure AD. Not being the administrator of the AD system itself, I don't have any complaints about it. From a development perspective it works great! We have several applications that we use internally in our company, GitLab, New Relic, etc. Using Azure AD we've been able to tie them all into Azure AD's SSO system so that we can easily manage access to the applications our engineers need. "Azure AD Service opens broad opportunities for business"
Integration with many services such Active Directory and Office 365. Possibility of hybrid usage in conjunction with AD. Convenient management from any device from anywhere. Security features such as SSO and MFA. MFA available only in paid version. Azure AD still doesn't have such capabilities like Active Directory has. With the help of this service We can give employees and business partners of the company access to different sources of company. "Microsoft Azure Active Directory "
Microsoft azure is a cloud based directory and identity management service. it is easy to deploy and gives employers a single sign on option to cloud applications such as Office 365, exchange 2016. Its authentication features privileged account management, role based access control, application usage monitoring, rich auditing and security monitoring and alerting. I would consider Azure AD for the Office 365 E3 deployment for organizations who want to migrate from their in-house exchange to the cloud. I loved the ease of migration that we had when moving an existing user-base from AD 2010 to the azure platform. Being able to migrate and deploy an entire farm of 250+ users and implement proper SaaS solutions that our users needed was essential, and we were able to complete this within a weekend after a month of review. Initial review was heavy for our staff during training, as some of our newer members had not reviewed AD practices since 2003/2007, and had some knowledge gaps from existing and new management methods within the platform. Make sure to run a VM trial within your lab to review, it's essential to demo moving your environment before going live. Azure allowed us to provide a much larger scale of practical applications for our existing and future clients without bogging them down into a physical onsite server. We also forced ourselves to further our knowledge within the MS Sphere with additional training which was a significant boon for us. "The Future of Identity as a Service"
The vision is hands down the best feature of Azure Active Directory. Imagine a world where you don't need to build another authentication system for your next app (big or small); that is the direction AAD is heading in. While I understand preview features are subject to change, I'd have to say the dislike is the clarity around implementation when undergoing changes. This issue is actively being addressed with more and more code samples being posted to github, but at the rate the offering is evolving it is hard to keep up with the communication and documentation, especially regarding bleeding edge features. Forget what you know about Active Directory Administration (or don't, because it can still be administered that way) but Azure Active Directory can offer a cloud first federated identity that your internal users can leverage across the network and the web. Also consider looking into the B2C preview (as of 06-15-16) and the graph api - these are all connected and have great synergy beyond just IDaaS. AD makes a great central sign on authority. It is very easy to mange existing users and add additional ones. Switching between domains is also easy on the web portal. Integration with NodeJS is difficult despite official libraries and the documentation is rather confusing and time consuming. It is not easy to plug in to a new application and the documentation can often be very confusing and even contradict itself. Get yourself a quiet environment, a hot cup of coffee, and a few hours to dig into the documentation. "Identity solution for your cloud services"
"Azure AD Improves User Productivity"
I like the best that with Azure AD there's an easy way to integrate with on-premise Windows Server Active Directory to manage access authentication to clod based applications; in our case it being Microsoft Dynamics CRM and SharePoint. I dislike that Microsoft allows only one tenant per domain. I would recommend for others to make sure that before they start implementing Azure AD with on-premise Windows Server Active Directory that their UPN on the (on-premise AD accounts) matches your email address. We resolved the issue we encountered with lack of SSO (Single Sing On) for all our on-premise hosted as well as cloud based applications. We realized that with SSO our user base can concentrate on the applications themselves without the worry to remember their many different authentication credentials for all the applications they use in their daily tasks. "AAD - Versatile and easy to deploy but advanced features require subscription "
Azure AD allows smaller companies the ability to deploy a federated AD without the need for ADFS. Its a simple installer that grants SSO for external applications. Before deploying AAD, Think about what your company needs. Some applications like Logmein are better suited for ADFS. We are currently leveraging Azure AD for SSO services with Office365, Salesforce and Asana. "Implementation with o365 works great!" Administration of our Microsoft Azure Active Directory is easy to manage and accessible on the go which is very convenient when troubleshooting issues on the go. Syncing from our on-premise environment can be complex and troubleshooting syncing errors can be cumbersome. Currently our organization utilizes Microsoft Azure Active Directory for our o365 environment which works great but requires us to manage two environments along with the syncing of on-premise accounts to Azure. When everything is working correctly it's great. Simple UI and layering. Just like typical folder layers, it's very easy to read and navigate through. Lacks QoL features built-in, specific times there would be instances I wish it had some features but could still be done witohut. It can be hard to do multiple functions at once without going through a linear process but it's very simple none the less. This is all I've used so far. Using to create user accounts for employees placed within specific distribution groups. It's very easy to see who is apart of who using MA Active Directory. "I use azure AD all the time, I've set up RMS and AIP using AD and also Sync with on prem AD"
"A really good solution for IT administrators for enterprise applications"
I like that for application developers, Azure AD lets you focus on building your application by making it fast and simple to integrate with a world class identity management solution used by millions of organizations around the world. I don't like that Azure AD is a bit pricey for the things it offers for smaller organizations, such as 100 people or so. This is recommended for larger organizations which need a good IT directory solution. I am building a photo sharing website and currently developing a mobile app for photo sharing as well. Am experimenting with Azure AD for managing IT processes better since the company is growing slowly and more and more infrastructure management is required. 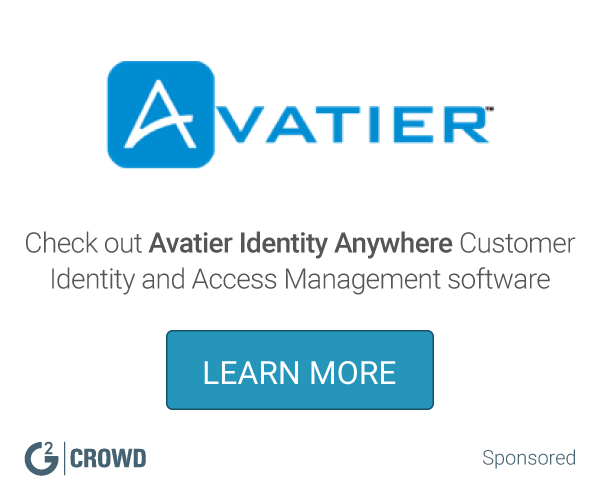 "Clound based identity service that can natively integrate with your existing AD"
on-premise AD intergration without deploying 3rd party tools. User synchronization can work in both sides. "Great solution for hybrid cloud!" buy a support package with Microsoft. You will need it at some point. "Implimented and configured Azure Active Directory"
Very quick and easy to configure and setup and implement. Azure AD ties together Office365, Exchange Online, and Azure to allow single-sign-on. It makes life much easier to use Premise-Based AD as a master for Azure AD. Azure AD has eased our management of users and groups. We have also been able to integrate SSO for many of our other business apps. This has decreased calls to our helpdesk and increased user productivity. Azure AD is a great way to take your Active Directory away from on prem. Since we use many SAAS apps this easily integrates allowing us to use single sign on. "Extremely simple to use with a small learning curve"
Active Directory's best feature is the usability without being too complicated. Able to locate any user/workstation without difficulty. "Great way to manage user permissions and account details"
The user interface allows quick training of new personnel and allows an office with high turnover of personnel to quickly train replacements and keep momentum. Not much. This software generally covers all of the needs it was intended to. Active Directory allows large domain managers the ability to quickly make changes to users permissions and account details while also allowing lower teir helpdesk workers the ability to view progress of account creation statuses. It is needed for hosted Exchange, provides a environment where you do not have to worry about server maintenance. There always seems to be problem syncing on prem with cloud. Hosted Exchange requires Microsoft Active Directory. The ease with which you can sort things into different OU's is great. It's a great organizational tool. Auto-update would be nice to have. And sometimes it is hard to delete folders. If you have O365, using the cloud to communicate with AD is great. It keeps everything in sync and easier to access than from one central place. We put all of our computers, windows/mac/linux in AD. We can keep track of our inventory and who can administrate each machine. It's always on so i can log on from anywhere. It costs money, which i guess everything does but it would be so much nicer if it was free. SSO for many apps we use internally so our users can have single sign on. "It's an amazing platform to use"
Building applications that are connected to a web service, implementing cloud infrastructure to customers. "Wow! Simplicity at its finest!" This has allowed our IT functions to simplify and streamline our employee sign ons and access. The management options and access functions have alleviated issues that we have dreamed of resolving for years. There isn't anything that is disliked currently. Azure has delivered its solution and we enjoy it for our organization and the audit system functions. The minimization of employee complaints and single access to our cloud systems. Sync with on Prem, can apply DRM to the forest and generally works well and is very stable. Not a lot to dislike about the solution for AAD - it is what it is. Allows us to roll out InTune and have SSO across the sites so we can leverage cloud opportunities. "Cloud AD plus integration into pretty much anything"
There is really not anything to dislike! "Azure is a fast user provisioning tool"
Love Azure Active Directory. It makes authenticating users to my applications quick and easy. Microsoft keeps changing things. Now they tell us to stop using AAD Graph Api and use another api. Read up on it, since things change fast. We are using AAD to authenticate our users and check groups they belong to. "Compliments our on-prem Active Directory environment nicely "
Azure Active Directory is an easy and well functioning alternative to using Active Directory Federation Services in house for small enterprise. Can be troublesome to get set up and synchronized initially. Setup can be complicated in the initial connection and setup. Expect to spend time on setup. Less complex alternative to ADFS in house. Less maintenance and security risk than ADFS in house. I used this with a identity management module i was writing for a cloud application. Its easy to integrate and efficient. "Next step in Cloud integration"
Azure AD directory noways provide ideal way of integration of your local AD infrastructure with Azure Cloud resources and even more. Sometimes it is hard to determine root cause of synchronization failures. Integration local on premise AD structure with Azure Cloud resources, that will provide easy way for authorization of authenticated users, that improve general experience. "Too much management, not enough automation!" Cost is great, as is is a big help to our IT budget since we can pay as we go. It is incredibly secure, and its scalability allows us to increase/decrease power with ease. Too much management, and very little automation makes the additional tasks required tedious. Also, if you are not an AD savvy person, it can be difficult to understand. Let the cost guide you, but be sure to do your homework. The biggest benefit is the ability to manage scale, and improve savings on usage. * We monitor all Microsoft Azure Active Directory reviews to prevent fraudulent reviews and keep review quality high. We do not post reviews by company employees or direct competitors. Validated reviews require the user to submit a screenshot of the product containing their user ID, in order to verify a user is an actual user of the product. Hi there! Are you looking to implement a solution like Microsoft Azure Active Directory?